I have another featured event that i would like to share with you. This event is Marcus Foster’s US spring tour. 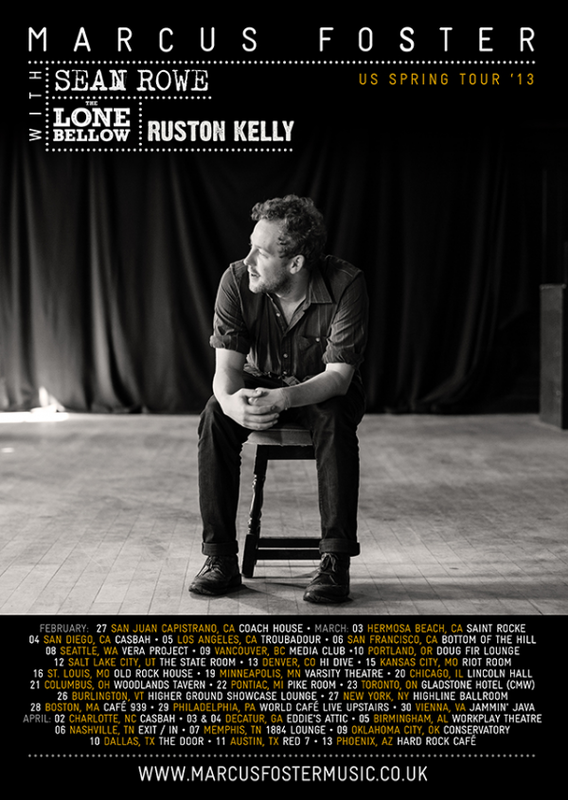 Opening acts include Sean Rowe, Ruston Kelly, and The Lone Below depending on the show. I have had the pleasure of seeing Marcus Foster play twice in the last year, and it was an amazing experience. Not only does he have amazing vocals and guitar skills, but he is absolutely charming on and off stage. If one of his shows happen to be in your area, please do yourself a favor and go see his show. The tour begins on February 27th at the Coach House in San Juan Capistrano, CA and ends April 13th at the Hard Rock Cafe in Phoenix, AZ. Below is the schedule for his US spring tour. You can find out more and purchase your tickets by clicking here.